Smart grid is the term applied to tomorrows electricity system. It encompasses a variety of changes that will transform the way electricity is used, delivered and produced, and result in a cleaner more efficient and more interactive electricity system. It represents a paradigm shift for electricity much in the way that mobile phones transformed communications. The concept is broad; it stretches beyond modernization of the transmission and distribution grid to include devices that allow consumers to better manage their electricity use, new ways of creating and storing electricity, and the widespread adoption of electric vehicles. The power grid shift to move to a culture of conservation and its substantial commitment to renewable energy will also be supported by the smart grid. Smart meters, a major smart grid component, can give consumers timely information on price and consumption. Emerging devices will empower consumers to act on this information automatically while at the same time improving their energy efficiency, comfort and convenience. New sensing, monitoring, protection and control technologies will enhance the ability of the grid to incorporate renewable generation.The institutional structure of the electricity industry makes it easy to look at how the smart grid will impact each piece of the system in isolation, but the most profound impact of a smart grid may be its ability to link these pieces more closely together. With the regulator OFGEM, we could have a system of applying structured market operator requirements with corporation responsibilities, encouraging longer-term system network planning, and procuring electricity supply and demand resources connected to the network. Both by the electrical shippers, National Grid and and the the regional Distribution Network Operators (DNO’s). but also the Feed in tariff (FIT’s) small generation customers and CHP and renewable end customer/suppliers. While the smart grid will affect each of these segments in different ways, it will affect all of them by increasing their ability to work together to better serve consumers. A smart grid is a modern electric system. It uses communications, sensors, automation and computers to improve the flexibility, security, reliability, efficiency, and safety of the electricity system. It offers consumers increased choice by facilitating opportunities to control their electricity use and respond to electricity price changes by adjusting their consumption. A smart grid includes diverse and dispersed energy resources and accommodates electric vehicle charging. It facilitates connection and integrated operation. In short, it brings all elements of the electricity system  production, delivery and consumption closer together to improve overall system operation for the benefit of consumers and the environment. A smart grid is not only information rich, but also has the analytic infrastructure, processes and trained individuals necessary to integrate and act on information in the very short time frames required by the electricity system. It is characterized by clear standards, security protection and open architecture that allow for continued innovation through the development and deployment of new technologies and applications by multiple suppliers. So OFGEM must get it right, undertaking discussions with both the customer and the electrical supply and distribution network industry community. The Goverments commitment to establishing a culture of conservation and the desire to reduce the environmental footprint of the electricity sector are major drivers for creating a modern grid. The culture of conservation requires the continual search for new ways to encourage all customers to use energy more efficiently and lower consumption during peak periods. The comprehensive provision of smart meters creates the opportunity for all customers to better understand and manage their electricity usage and, for those who wish, to become active providers of demand response, and be rewarded in doing so. The prominence of renewable energy in the Governments white papers an increased ability to accommodate variable renewable generation from off shore tidal, wind farms, solar, biomass and micro generation. Where today the grid serves primarily as a vehicle to move electricity generated in large central facilities to consumers, in the very near future, the grid will need to do much more. As the number and distribution of smaller generators grow, Micro generation (FITs) come on line, the operational challenge of incorporating these independent generated energy resources, while maintaining safety and reliability, will also grow. Meeting this challenge will require a smart grid. Other features of this arrangement will also also drive the development of a smart grid. DNO’s will need to upgrade, renew or replace a significant amount of the existing electricity infrastructure network load monitoring and reporting real time demand and quality of supply (similar in some ways to end customer smart meters to be rolled out) In addition dynamic load forecasting to request power stations load demand requirements. This need creates an opportunity to use smart grid technology both to maximize the use of existing equipment and to improve the efficiency of the grid as it is replaced. Growth and redevelopment also present opportunities to introduce smart grid technologies in newly developed and reconstructed areas. Demands by industry and consumers for increased reliability and power quality technology are also pushing toward a smarter grid. There are many potential benefits from a smart grid in the areas of economics, environment and operating performance. The ability of consumers to increasingly participate in the electricity market by adjusting their demand in response to price or other signals will help to defer the need for peaking resources and incorporate additional generation from variable sources. Improved system economics will come from reduced losses during electricity delivery (line losses) and better use of power station and distribution network plant & equipment. Potential reductions in network congestion will also allow greater use of the most cost effective generation and improve the capacity to move generation throughout the electrical supply network. Greater ability to integrate generation and load can also reduce the cost of operating reserve and some ancillary services. Finally, improved analytics and the ability for the grid to automatically restore itself from faults can reduce the scope and duration of outages, lower operations and maintenance costs, and improve service to customers. Many of the identified economic benefits also have associated environmental benefits. Reduced losses not only reduce cost, they allow more of the electricity generated to reach consumers thereby lowering the environmental impacts from generation. Increased ability to incorporate distributed energy resources, including both renewable generation and demand response, will allow us to move more quickly to a cleaner resource mix that everyone generally wishes to be collectively archive. Even if if it is viewed by some, that this is achieved by someone else. Using existing assets more efficiently can defer the need to expand the grid to accommodate growth. The smart grid offers enhanced operational performance. Greater awareness of system conditions can help anticipate and address problems before they lead to outages, minimize the scope of outages that do occur, and enable more rapid restoration of power. With a smart grid, these fixes may increasingly occur automatically so that the grid becomes self healing. The ability to remotely monitor equipment condition and performance can also enhance security, help better target maintenance and improve the accuracy of replacement decisions. The information provided by a smart grid also can be used to improve power quality, which is increasingly important in operating todays sophisticated equipment controlled by digital electronics. By automating functions that are controlled manually today, the smart grid will increase productivity, which will be essential in managing the more complex grid of tomorrow and helpful in addressing the demographic issues facing the electric system as the baby boomer’s retire and new workers need to be hired and trained. Finally, the smart grid can provide significant operational advantages through its ability to improve both public and worker safety by increasing the amount of system information available for protection and control and by enabling remote operation and automation of equipment. The costs of the smart grid are difficult to quantify. They will depend on investment decisions and the pace of implementation by numerous companies and individuals undertaking smart grid expenditures. It is through the analysis underlying these decisions that the benefits and costs of specific smart grid investments will be evaluated. Certain cost elements that support the smart grid have already been incurred. Ontarios investment in smart meters and advanced metering infrastructure provide an important connection with customers and the beginning of the communications infrastructure necessary for a smart grid. Additional communications, with greater bandwidth, speed and reliability will be needed, for full smart grid implementation. Moreover, much of the distribution infrastructure replaced over the last few years is already smart grid compatible. Customer support also would be a key factor in evaluating smart grid investment and customer education will be necessary to inform consumers on this issue. Investment at this level would require increased availability of demonstrated smart grid technology and the human resources to install and integrate it. Finally, the costs and benefits of proposed incremental smart grid investments would be evaluated through appropriate regulatory processes. The timing of smart grid development also will depend on individual investment decisions, which in turn will be influenced by external policy drivers. The investment plans by Electrical shippers, distribution network operators, IDNO’s, meter operators and consumers that will largely determine the pace of adoption for smart grid technologies will be based on their individual needs and circumstances, and their available capital. Government policy, implemented through incentives, mandates or regulatory initiatives will be a major factor in influencing the timing of investments. In short, because the smart grid is not a single project, but rather a series of actions by a variety of entities to modernize the electricity system, it is difficult to produce a definitive time line for smart grid development. When it does come together, and matures, the system as a ‘whole’, will be more resilient, but it will dependable on all parties being dependable on each other. Including the micro generation and independent supply generation supply contribution and working efficiently, otherwise extra power stations will still be required to be built or available, just in case all independent customers disconnect supplies from the network, say as a future government protest action, interrupting the collective electrical supply contribution factored in the ultimate smart generation mesh smart grid arrangement. In some respectsit is similar to the how the internet developed and matured and came to be more resilient and depended by everyone including the internet backbone and local ISP’s provide the network grid to connect people and systems together. Another interesting development will be how supply authorities & DNO’s will undertake works on the network. For the purposes of this blog, assume in simplistic traditionally engineering supply arrangements, that electricity is generated from a remote power station, distribution via the national grid 132KV network to the local DNO network (66 / 33 /11 / 6.6KV substation network to a 230 V rated supply and so onwards the the end customer via the service cutout consumption monitored by the electrical meter / CT arrangement . Generally, electrical only going one way – Power station via DNO’s to the end customer. So isolation of cabling & equipment only required from local substation supply to be dead supply to enable major upgrade work to be undertaken. In comes the Smart grid roll out which end customers are encouraged to provide their own renewable energy, with spare capacity connected and used by local network So introducing multiple back-feed supply’s. Always connected, but independently controlled and managed by the customer, supply on and off all the time – generally individually, each micro generation arrangement not resulting a constant dependable supply contribution, only achieved collectively when provided in clusters of connection points. So back to the final distribution feeder cable supply requiring major works to be undertaken. DNO isolates at substation and is checked and tested that the LV cable was a ‘dead’ cable, but it could become live at any time, thanks to customers micro-generation connected supply. So how do you isolate the DNO feeder cable, to cut or repair the cable? OK – Live working methods can be used and will have to be adopted through the LV network from now on. But the customers generation equipment will also have to be able to provide circuit protective devices from a grid network earth fault or the remote chance that the distribution point may not be connected to the network. But thats a separate subject, as well! In a joint up world – simple things get complicated – but systems change and adapt to “keep it simple” – to make it more easier to manage and control. As the industry leader, only ZigBee offers an established, competitive marketplace providing the core technology for monitoring, controlling, and automating the delivery and use of energy and water. ZigBee Smart Energy is the affordable and easy way to improve energy efficiency and reduce environmental impact. The following ZigBee Smart Energy Certified Products were tested to ensure they meet all of the Alliances strict specifications and perform as promised. These products represent solutions across the entire efficiency ecosystem  energy services portals, meters, displays, thermostats and load controllers. Each product may wear the ZigBee Certified logo and the green ZigBee Smart Energy icon so that they may be easily identified in the marketplace. Alektrona’s Z-Aperture ZA07-200-ESP is the first broadband Energy Service Portal and Internet Gateway to receive ZigBee Smart Energy Golden Unit certification. Aztech’s In-Home Display communicates directly with smart meters. CTW200 is a thermostat which monitors, controls and displays energy consumption and rate information for ZigBee-enabled residences. CTW300 is an In Home Display with a large dot matrix screen for users to monitor energy rate and consumption information in residences supporting the ZigBee Smart Energy profile. Comverge PowerPortal® IHD is an easy to use, AMI ready display that allows consumers to closely track their electricity consumption and receive messages or alerts from their utility provider. Comverge’s SuperStat Pro is a state-of-the-art “smart” thermostat. The EC-100 is an easy to use energy controller that empowers consumers and utilities to better manage energy use and costs. Cooper Power Systems, Inc., with revenues of approximately $1 billion, is a division of Cooper Industries, Ltd. (NYSE: CBE). Cooper Power Systems is a global manufacturer of world-class power delivery and reliability solutions for the electrical and industrial markets. Cooper Power Systems manufactures distribution transformers, distribution switchgear, reclosers, capacitors, protective relays, voltage regulators, automated switches, cable accessories, surge arrestors, transformer components and dielectric fluids, fuses and tools and it provides engineering services for the electrical and industrial markets. Through its Energy Automations Solutions group, it is also a leading provider of software, communications and integration solutions that enable customers to increase productivity, improve system reliability, and reduce costs. For more information visit www.cooperpower.com or www.cooperpowereas.com. Cooper Power Systems – The ZigBee®-enabled UtilityPRO is a Honeywell touchscreen programmable thermostat designed for utility-sponsored demand response programs and is equipped with a Cooper demand response module. Digi’s ConnectPort X2 ESP enables energy service providers to deploy HAN devices that are completely managed by the Digi gateway over a broadband or cellular connection, allowing Smart Grid services to be deployed in areas not covered by Smart Metering networks. Digi’s XBee Range Extender is a certified ZigBee Smart Energy device. ecobee�s mission is to help homeowners conserve energy, save money and reduce their environmental impact. Our green automation platform sits at the convergence of energy conservation, green technology, the networked home and consumer electronics. Our products automate energy conservation, making it easier to save on energy costs without sacrificing comfort. ecobee targets the large markets of heating, cooling and ventilation, utility demand response and green automation. ecobee’s green automation platform sits at the convergence of energy conservation, green technology, the networked home and consumer electronics. Energate Connecting Conservation with Comfort Energate lets you take your smart grid strategy beyond smart meters, to where demand is rooted  in the home. Energate’s home energy management solutions let consumers and utilities manage energy use and reduce peak demand without sacrificing comfort and convenience. Building upon over 25 years of HVAC industry experience, Energate smart thermostats offer industry-leading equipment interface technology and comfort control algorithms. Energate Pioneer Z100 – Energate has expanded its Pioneer series of smart thermostats to support the Smart Energy Profile. Energate Pioneer Z107 – Energate has expanded its Pioneer series of smart thermostats to support the Smart Energy Profile. Incorporating next generation technology beyond the features found on today’s most sophisticated thermostats, Energate’s Pioneer Series of smart thermostats provide unparalleled performance with an exceptional user interface to meet your current and future needs. Founded in 2005, Energy Aware Technology is a Canadian company focused on demand side management products that increase awareness of resource consumption and help people save money. Energy Aware’s first product, the PowerTab, is an in-home energy display designed for deployment with smart metering infrastructure. Energy Aware’s PowerTab is an in-home display that uses the Zigbee Smart Energy profile to allow consumers to closely track electricity consumption and costs. The PowerTab’s attractive design and user-friendly interface encourage energy conservation and facilitate increased data flow to end users. The PowerTab’s features include a 100 mW radio, a magnetic backing, and three colour LEDs to indicate tariff rates. Itron Inc. is a leading technology provider to the global energy and water industries. Itron Inc. consists of Itron in North America and Actaris outside of North America. Our company is the worlds leading provider of metering, data collection and utility software solutions, with nearly 8,000 utilities worldwide relying on our technology to optimize the delivery and use of energy and water. Our products include electricity, gas and water meters, data collection and communication systems, including automated meter reading (AMR) and advanced metering infrastructure (AMI); meter data management and related software applications; as well as project management, installation, and consulting services. To know more, start here: www.itron.com. In Chinese, Jetlun means literally save energy. Jetlun is building the last mile to the Smart Grid and providing an integrated energy network management solution for residential and commercial markets using standard-based network technologies that maximizes the use of a buildings existing wires and wireless networks for total coverage and connectivity. The Jetlun Intelligent Management solution (JIM) is a family of energy network management products that provides granular energy usage information by whole-home, by phase, by circuit, and by appliance enabling a homeowner or property manager to pinpoint areas that are consuming the most power. The JetLun Gateway SE (model RD75606) is the world’s first integrated ZigBee and HomePlug® enabled gateway that collects. The JetLun Gateway (model RD75607) is the world’s first integrated ZigBee and HomePlug® enabled gateway that collects, stores and displays real-time energy consumption information and helps you manage and control- both onsite and remotely- your energy usage through a simple user interface on any web browser or any web-enabled phone, such as the Blackberry® or iPhone®. KDN is providing high-tech total electric power IT service in entire processes of electric power system, such as from power generation to transmission, distribution and sale. As such, KDN is largely contributing to achieving efficiency and advancement in electric power business by establishing IT system. Furthermore, KDN, by securing international competitiveness in international power IT market, will grow into a global specialist in power IT. KDN Smart Meter Single-Phase and Poly-Phase Smart Meters produced by Korea Electric Power Data Network Co.[KDN] are highly accurate, intelligent, and fully featured electricity meters with integrated communication modules. The Smart Meters have special features such as two-way communication via standard-based ZigBee and PLC(Power Line Communication) technologies, two-way measurement, Power Quality measurement(Sag and Swell), Tamper detection and Remote connect/disconnect. IEC standards (IEC 62052, IEC 62053, and IEC 62056) are applied to Smart Meter. Landis+Gyr is the leading provider of advanced metering, energy efficiency, and infrastructure communication systems to electric, gas, and water utilities worldwide. Landis+Gyrs proven record of customer satisfaction and value creation is supported by over 20 million customer advanced metering end points in production or under contract worldwide. Landis+Gyr supports its 500+ customers with a staff of over 700 professionals located in offices across the United States. Landis + Gyr E35C-A is a high performance 2.4GHz ZigBee transceiver that is supplied loaded with ZigBee Smart Energy firmware. The unit is fully certified and works with Landis + Gyr E350 U-Series meters. The ecoMeter energy monitor is a critical component in the final delivery of the benefits of the smart grid to its energy end-users; and an integral component in Landis Gyrs Smart Grid solution  Gridstream. The ecoMeter P250 is the means for energy consumers to become fully informed and directly engaged to their energy consumption; and is the tool of choice to empower consumers to manage energy better. The Landis Gyr Focus AX endpoint is a ZigBee-enabled advanced metering endpoint that provides two-way communication with the utility, meter and home-area networks. LS Industrial Systems has been leading the industrial electric controls and automation field in Korea with the advanced technology for decades. Providing top quality products, LS Industrial Systems set the long term goal as Superiority over quality and product development. To set the standard of digitalization which will drive the future of the industry, LS Industrial Systems provides Total Solution found on abundant industrial knowledge and technology in electric control, automation, tube & pipe and the new business area. The LK Series Single-Phase and Poly-Phase Electric Meters are intelligent, fully featured revenue-grade energy meters with integrated communication function. These solid-state meters feature two-way communication via plug-in type communication modules using standard-based ZigBee® and PLC (Power Line Communication) technology. Each meter complies with IEC 62052, 62053, and 62056 standards. RS-SE-24-01 – The RATE$AVER is an In-Home-Display device capable of communicating with ZigBee Smart Energy Profile Compliant Energy Service Portals (ESP) withn Utility Meters displaying energy usage data. OpenPeak Inc. creates, designs, and develops innovative systems and devices that enable simple control of home energy usage, VoIP telephony, digital media, Internet content, and consumer electronics on a single touch screen device. OpenPeak allows utilities to deliver service updates to users on demand today, and provides a platform for the deployment of future energy applications as they are developed. Through the OpenPeak App Shop, the same device can deliver a complete communications package including news, sports, weather, social networking, and instant messaging and is compatible with a variety of communication standards, including ZigBee and Wi-Fi. For more visit www.openpeak.com. OpenPeaks OpenFrame 7E – touch screen device provides an engaging way for consumers to take an active role in managing their energy consumption. By integrating home energy management with on-board multi-media functions, the same device can deliver a complete information and communication experience including news, sports, weather, social networking, music, and family photos. Home Energy Controller (HEC) monitors and displays electricity and gas consumption and cost information on a customer friendly display. Using the ZigBee Smart Energy Profile, it can read any meter that meets the standard and display the data in tabular and/or graphical format to encourage consumers to reduce their energy consumption through better information. Single and Poly Phase Multi Rate Meters – ZigBee Smart Energy Certified meter interface can be fitted to PRI and Horstmann electricity meters to provide consumption data to other Smart Energy devices on a network. The meters conform to IEC 62052-11 and are available with optional load control switches, as well as a variety of power ratings to suit any market. Rainforest Automation makes products that enable residential energy management, and allow utilities to rapidly deploy Smart Grids that are less expensive and more reliable. Our products include EMU, a utility targeted in-home display (IHD) designed with simplicity and high-volume deployments in mind, and Orchid, an energy services platform that serves as a low-cost gateway between the utility and the consumer. Rainforest Automation’s EMU – Energy Monitoring Unit is an In-Home Display designed specifically to meet the technical and budget requirements of utility deployments. The EMU has a simple user interface, runs on standard AA batteries, and displays real-time usage, accumulated statistics and provides a peak pricing “traffic-light”. With its 2-way link to the smart meter, EMU can support custom features such as pre-payment, opt-out, and messaging response. Telegesis develops and manufactures advanced wireless products to provide low cost, high performance solutions. Telegesis ZigBee ready Module and Development Kit is based upon Ember Corporation’s meshing technology and is the first in a family of products, others of which are already at prototype testing stage. Our low cost Development Kit enables an out-of-the-box mesh network in less than half an hour. Telegesis range of ZigBee products will aid rapid development and integration into OEM products through the provision of complete ‘plug-in’ modules. Telegesis AT-style command line interface software further speeds and facilitates the building of total solutions. ETRX2USB ZSE-IHD In Home Display – The Telegesis ETRX2USB ZSE-IHD is a high performance 2.4GHz ZigBee transceiver in USB stick form which is supplied loaded with ZigBee Smart Energy (ZSE) IHD firmware. The unit is a fully certified In Home Display and can be supplied with Certicom test or full certificates. An AT command layer on top of the ZSE IHD firmware allows a host application to easily control the stick. Telegesis Smart Energy Range extender – The Telegesis Range Extender and Range Extender-PA are fully certified ZigBee Smart Energy (ZSE) units which enable increased distance between nodes in a ZigBee Smart Energy network. If the distance between nodes is too great for communication to be established. By adding one or more Routers in-between an extended ZSE mesh network can be formed. Tendril focuses on network operations and deployment – the next big stage of the Wireless Sensor and Control Network industry. Our software allows companies to access, deploy, monitor, manage, and integrate networks into the real world. This approach allows Tendril to address the macro trends of energy efficiency, security and life expectancy. Tendril Insight is an in-home display that communicates with networked smart devices, such as thermostats, electricity meters and outlets, and displays information about consumption levels and energy rates. Empowered with real-time information, energy customers can potentially save money, while utilities can reduce customer service incidents and improve overall load balancing and demand response capabilities. Tendril Relay is a ZigBee device router that plugs into a standard household outlet. The Tendril Relay extends the range of a smart energy network, making it easier to access and connect devices in large homes and hard-to-reach places, like garages and sheds. Tendril Transport is an IP gateway that opens a new channel of interaction and collaboration between consumers and their utilities. The Tendril Transport delivers two-way information to consumers and utilities, providing insight into household energy footprints. With the Tendril Transport, customers gain more access to energy-related information and more control over energy consumption decisions. Utilities can better manage supply, demand response and load control scenarios, and costs. Tendril Outlet is a 3-prong, ZigBee Smart Energy electrical outlet that can be plugged into a standard home outlet to monitor and control the energy consumption of any electrical appliance or device. Multiple Tendril Outlets in the same home can be tracked individually or as a group over the Internet or from a local Tendril Display device. The Tendril Outlet gives the consumer unprecedented insight into and control over their household energy footprint, improving their overall energy efficiency. Tendril Volt is a three-prong, standards-based smart electrical outlet that can be plugged into a 110Volt/15A AC standard wall power outlet to turn off or on any connected electrical appliance or device. When used in conjunction with the Tendril Insight or the Tendril Vantage web portal, multiple outlets in the same home can be managed individually or as a group over the Internet, giving consumers unprecedented insight into and control over wasted energy and their household energy footprint. Trilliant Networks, Inc. is the industry leader in open solutions for advanced metering infrastructure (AMI), demand response, and grid management. The company is focused on delivering ANSI and IEEE standards-based AMI, without vendor lock-in, enabling choice of meter, network and IT infrastructures. Trilliant brings over 20 years’ experience solving AMI needs for utility customers through the legacy of its Nertec brand founded in 1985. Additionally Trilliant is the originator of the first ANSI tools for development, simulation and compliance now used by most meter manufacturers and AMI companies to develop and test ANSI meters as well as meter communication products. Trilliant has more than 100 utility customers including Baltimore Gas & Electric, Duke Energy, Hydro One, Hydro Quebec, Milton Hydro, Northeast Utilities, OneOK, Public Service Electric & Gas and San Diego Gas & Electric. Trilliant SecureMesh Micro Access Portal is independent from the meter and can be embedded in any end-point device including thermostats, in-home displays, appliance controllers or meters. Trilliant’s SecureMesh AMI Network is based on the same IEEE 802.15.4 standard as ZigBee providing an end-to-end fully standards-based solution for energy applications. Cop10 – Code of Practice specifically applies to metering of energy via low voltage circuits for Settlement purposes. Metering Equipment compliant with this Code of Practice can be traded either elective Half Hourly (Measurement Class E) or Non-Half Hourly. No supply capacity limitation’s now defined under this CoP10 document. The limitations of use are now only the CT’s ratios selected / installed and the meters CoP10’s MOP configuration for customer use. CoP10 can be include import and energy export metering facilities. Cop10 can be used as Half Hourly (Measurement Class E) or Non-Half Hourly MOP use. Only one requirement, it has to be a low voltage circuit being measured. HV metering using Cop5 or Cop7 metering facilities. Currently the CoP10 can not be used as a replacement in this instance. Code of Practice 5 defines the minimum requirements for the Metering Equipment required for the measurement and recording of electricity transfers at Defined Metering Points where the Maximum Demand does not exceed 1MW. Where required, one set of current transformers to IEC Standard 185 with a minimum standard of accuracy to Class 0.5, shall be provided per circuit. Preferably, the current transformers shall be dedicated for Settlement purposes, but the CTs may be used for other purposes provided the overall accuracy requirements are met. However, it may be easer to add a second set of CT’s for other functional measuring use, than to demonstrate overall accuracy of revenue metering remains intact. Where CT test certificates are not available and the CTs can be verified as class 0.5 or better and are installed on an LV installation, the extreme errors for the accuracy class shall be assumed. Where required a voltage transformer to IEC Standard 186 with a minimum standard of accuracy to Class 1 shall be provided for the metering of a circuit. Similar to CTs, VT’s can be used for other purposes but need to demonstrate overall accuracy of revenue metering remains intact. But, it may be easer to add a second set of VT’s for other functional measuring use, than to demonstrate overall accuracy of revenue metering remains intact. Remember similar to Cop5 CT’s, they are effectively adopted by the MOP and sealed to prevent customer tampering etc. MPAN from existing energy bill : If you have an existing electricity bill for your property you should be able to find your MPAN. MPANs are often printed at the bottom of the first page of your bill or on the reverse of the front page. MPAN from a DNO MPAS Service: You can obtain your MPAN from the Distribution Network Operator (DNO) who is responsible for the distribution network for your area. If you telephone the Distribution company for your area they will be able to provide you with the 13 digit MPAN core over the telephone. In most cases this should be enough information to arrange the transfer of your electricity supply, it is also worthwhile asking that they send the information to you – that way you will also receive the full MPAN. The telephone numbers for each Distribution Company’s MPAS service is noted below. A new electrical supply – It can’t be that hard to arrange for us! Can it? How many times have you had the following conversation by a new client contact! “We have been project managing this development, its been going really well. We don’t need any help on the main project works, as we did it ourselves, using local trades people, and we are now close to starting the 2nd fix and final decoration for project completion stage, but we need a little bit of help. The Electrician hired says we may have a problem. We only got the original building electrical supply at the moment. The supply needs to be relocated to the other side of the development and replace by a bigger new electrical supply to support the new development. Need to move the existing meter quick, as its holding us up finishing off this area. It’s OK. We’ve walked around the local streets and found an existing substation just down the road, its only 45 meters from the site boundary, across the main road by the roundabout and a further couple of streets away! We’ve googled the net and got ourselves a bit confused, don’t need: “to save electrical savings by changing suppliers”, or “EDF Energy’s plans for new nuclear build”. “OK………….we know who to call. We’ll give them a ring right now, and get a new supply installed by some time next week for you. We assume you just need a 200A TP&N supply for now. Well also arrange for the meter operator associated works to be completed at the same time. Should have power on very shortly! Well that was the response the customer expecting, and needed you say! How many times do you dread giving the client an enlightened answer! I DON’T BELIEVE THIS – PLANNING PERMISSION WAS QUICKER THAN THIS! Your just being difficult and very pessimistic. As a professional engineer you may have to take this approach to clients! OK, but there must be a quicker method to get a new electrical supply! HOW MUCH MORE DOES IT COST? Can you provide us with a daily update! The answer is complex, and over time this blog will give some of the answers, related to this subject. But, bottom line is, employ a professional early on in the project , who knows what to to do and guide you through the supply maze. Its money well spent, could save you a lot of time, effort and piece of mind. If your wanted to the know answer, how long could it take? Need to find post code for the premises, have a external site drawing ready to issue, know the electrical load required, type of supply, when you want the supply for.. etc. All ready to be submit as part of supply application issued to the Distribution Network Operator (DNO). Regional Electrical Company – (REC) term is no longer used by the industry. REC’s are use it for a different term of reference now! Renewable Energy Certificates, and used throughout the world! First decision: Estimated or fixed quotation? Estimated is quicker to get back, but its like asking for a quick budget cost. If you go ahead you still need to ask for a fixed quotation later on. Your in a hurry. So you ask for a fixed quotation. You send in an initial application to the Distribution Network Operator (DNO) for a fixed quotation. They then send you a second form to fill in and you need to calculate or your informed of the fee charge for them to prepare the quotation for your project, and you pay them as apart of the application. They then have to reply back to the customer with a written quotation – within three months! All initial inquires are put in at strict queue order, and they are always very busy! So the Client starts to ring you daily, then over time, weekly, then just e-mailing you, asking for any news! General message: Its important – do what you can! Finally, you get the fixed quotation back with the DNO electrical supply connection details with a customer reference number. The client starts to sign the contract and then reads the value of the fixed quotation. Client then asks if payment, can be delayed till after the works have been completed, or can stage payments be agreed. Stage payments to a DNO only seem to occur on major projects, as an example, redesigning a shopping centre with multiple phases. You then wait for up to two / three weeks for payment clearance and the DNO Planning engineer assigns a DNO Project engineer (customer contact) to the project. So the Client starts to ring you daily you daily. General message: Any news yet? When can they start? Its important – do what you can! The DNO Project engineer then normally ask for all the information you submitted originally …again, as any information that was given to the DNO Planning engineer with the initial inquiry, is never forwarded to the DNO project engineer with the customer reference project file, only the DNO approved submitted application form details and allocated customer reference number. The DNO Project engineer will forward internally information to the DNO Legal department to undertake a land search to see who owns the land and contact the legal owner to obtain permissions wayleaves, right of entry, etc. Until the LEGALS are done, no installation or construction works can commence. DNO Legal department notifies the assigned DNO electrical project engineer that everything is accepted and signed off. So the Client starts to ring you again. General message: Any news yet? Can we help? Can we do the legals for them? When can they start? Its important – do what you can! The DNO Project engineer then applies for a MPAN (Meter Point Administration Number) identity and informs you that every thing is going OK. So the Client starts to ring you again. General message: When can they start? Its important – do what you can! Obtaining a MPAN Identity can take to take up to two / three weeks. An MPAN (Meter Point Administration Number) is a unique number to the properties supply. Every meter has its own MPAN reference. The full MPAN is 21 digits in length and should be printed in the format below on electricity bill – When you get it. Every property has a profile class. Profile classes are used where half -hourly metering is not installed and provides the electricity supplier with an expectation as to how electricity will be consumed throughout the day. From a domestic customer viewpoint we are interested in two classes 01 and 02. Other classes that exist are 03, 04, 05, 06, 07, and 08. Where half-hourly metering is installed (large consumers) the profile class in 00. The Meter Time Switch Code indicates how many registers (set of meter reads or dials) your electricity meter has and what times they will operate during the day. The Meter Time Switch Code will show if your meter has two registers, one which records day consumption, the other night. The Line Loss Factor code stipulates the expected costs the distribution company will charge the supplier for using the cables and network in your region. This Line Loss Factor code will also indicate to the electricity supplier the potential charges incurred, due to loss of energy incurred whilst getting the electricity supplier to your meter. The Distributor ID will identify the local Distribution Company for your electricity supply. The Distribution company is responsible for management of the distribution system and electricity wires which transports the electricity to your meter. This is a unique number within the distribution area to identify the actual metering point. This number is calculated from the Distributor ID and Meter Point ID Number to provide a check digit that other systems can use to validate the both numbers. You need a Mpan number to apply for a electrical supplier, meter and data collector. This type of suply will need a Half Hourly Meters or “00” electricity meters have a peak load above 100kW and are equipped with a half hourly primary meter. These commercial electricity meters cover all sites that have a large commercial supply of electricity and the electricity meter is read every 30-minutes of the day, hence the name half hourly meter. This means that total consumption is recorded every half hour, and this information is automatically retrieved from the meter and passed directly to the energy supplier ensuring your energy bills are accurate. Larger industrial and commercial premised are supplied directly from our 11kV high voltage network. The customer will own the 11kV/LV step down transformers, LV distribution system and possibly some 11kV switchgear. Since de-regulation in April 1994 two distinct retail market segmentations have emerged in the UK electricity markets, half-hourly metered sites and that of non half-hourly metered sites. The retail electricity market in the UK has become highly competitive in both segments. Two distinct market trends have emerged from this as the various supply companies decide upon their chosen strategy to cope with intensive competition. The first discernible trend is that as the various participants are merging in an effort to consolidate, market share reaches critical mass allowing operational costs to be apportioned over greater volumes of customers. Secondly, suppliers are actively pursuing the business of competitors by employing aggressive pricing policies. Catalyst is ideally positioned to negotiate and tender with these suppliers in pursuit of service and value for money from your chosen supplier. If you are a large customer you must have a contract based on readings taken each half hour period during the day. These are known as half-hourly metered contracts and the price of electricity will vary depending in part of the national demand for power at particular times in the day. Large customers must have appropriate metering (Code 5 or above) which are operated and maintained by an approved Meter Operator (MOP). The data from these meters must also be collected by an approved Data Collector (DC). A full list of approved meter operators and data collectors is available from the industry regulator, Ofgem. Offers are notoriously difficult to compare. Different suppliers bundle different elements together, which makes the precise factors very difficult to isolate. Potential suppliers can be asked to respond to a customer request by listing the various aspects of the prices and charges that are to be applied. So the Client starts to ring you again. General message: Whats an electrical supplier,MOP and data collector? Can you fill the form in for us? When can they start? Its important – do what you can! We known you’ve already pre- selected your Electrical shipper, Meter Operator Provider and data Collector and can add these details immediately to the relevant application forms required ……right! The meter operator, energy shipper, meter operator can then send separate application forms, asking for some of the same information again. This is all subject to the type and size of supplied required. But generally application forms asks: Whats the agreed electrical capacity (ASC), name and address of for bill payments, who’s the energy shipper, who’s the meter operator, who’s the data collector and what datte you want to have a supply connected for. Then they then have to exchanged details to each other and the DNO re-confirm that all parties are assigned, and have register their details against the registered mpan identity. Final application process time up to 20 days is required. So the Client starts to ring you again. General message: Can they do it sooner? Its important – do what you can! Day of visit – any time between 8:00 and 6:00pm, they don’t give an expected visit time. So someone been waiting all day for them, but popped out at at lunch time for some food! Meter operator visited site, but no one available to give them access? Cancellation fee must be paid (£450.00) and customer needs re-apply, next visit needs to be pre booked again, period to next attempt to not less than 10 days or more! No electrical installation test certificate available to meter operator to see. Cabling tails, cable trunking slots not correct, not ready for meter operator to use. Supply connect refused must be the same. Cancellation fee may be asked for and customer needs re-apply, next visit needs to be pre booked again, period to next attempt to not less than 10 days or more! Plus you need to change the other supplies earthing arrangement. Even if it not yours. Gets tricky…. So the Client starts to ring you again. General message: Can they come back tomorrow? Its important – do what you can! So you thought thats its it then, no more problems………..then? Did you remember all the other matters, as design engineer or customer your suppose to know? Did you remember that Scottish and Southern require all metering generally to be accessible for outside the building? But, that EDF Energy allow metering inside the building. Did you remember that Scottish and Southern require all cabling to be burred direct in to the soil to the building entry point. EDF Energy Networks require all cabling to be within cable ducts to the building. Did you remember that it’d down to the contractor is to purchase the metering GRP enclosure, that comes in different sizes and different DNO’s have different rules and standards to which one shall be selected and used. Did you remember to comply with the meter operators clear spacing requirements? Understand about AMR smart metering and what the requirement are? Follow DNO approved equipments requirements on private network developments, installed by the contractor. But, ever heard the 2004 Traffic Management Act and secondary legislation as well as current legislation and codes of practice. (TMA)? From 1 April 2008 a new piece of legislation came in to force. The Traffic Management Act (TMA) 2004, came into force. The TMA will help tackle congestion and reduce disruption on the road network. It has several parts, but the key section for connections purposes covers street works activity. This part of the TMA will increase the requirements on the administration side of street works, and give further powers to local authorities for them to fulfil their duties under the TMA. There are some key changes that you need to be aware of if any of the work we must carry out to deliver your connections takes place on the public highway or on roads, footpaths etc, that will become adopted by the local authority. DNO’s mus issue notice periods to local authorities before commencing our work. The notice period ranges from three working days to three months depending on the scale of the work. So the Client starts to ring you again. General message: Can they install the cable any sooner? Its important – do what you can! The duration of works includes all works on site, i.e. setting up, excavating, installation of utility connections, reinstatement and clearing up. The forward notices can only be issued to the local authority once the DNO have received your acceptance of the quotation. If your development means that the DNO need to work in more than one street, the TMA requires that DNO’s serve one notice per street. If changes to works are needed following acceptance, the DNO will need to know as quickly as possible to liaise with the local authority in order to deliver your connections. Local authorities will have more powers to enforce compliance with the TMA requirements. The powers of local authorities have been increased to aid coordination of street works and to reduce disruption. Some of these powers may affect the delivery of utility connections to your development, so you need to be aware of them. Power to give directions for the placing of new apparatus  a local authority can, on the grounds of excessive traffic disruption, direct DNO’s not to lay new equipment in a given street. DNO’s have to decide on a viable alternative route, and this may increase the costs to you. Restrictions following other works  If other works have occurred in a given street, eg resurfacing, the local authority can impose an embargo on further works of up to five years. Fortunately, new customer connections are exempt from the full restriction, and instead will need to wait 20 working days from completion of the previous works before the connections works can begin. In order to help meet their Network Management Duty, local authorities can opt to become Permit Scheme Operators under the TMA. The fundamental difference between a Permit Scheme and the existing Noticing system is that when DNO’s apply for a permit, DNO’s are booking time on the highway. The local authority has to approve the DNO application and can set conditions on the works. The timescale for forward notice periods for permits and categories of permits is the same as those in the table above. However, there will be a charge for the permits. The permit fee will be made clear within the quotation the DNO provide, and will be chargeable to you. If the customers requirements change following approval of a permit, the DNO can request a variation. However, the local authority will make a charge for permit variations that we be pass on to the customer. If you choose the DNO to deliver your electricity, gas and water connections there will be opportunities to reduce the permit fees if we can manage the works under a trench sharing agreement. Each local authority can decide whether or not to become a Permit Scheme Operator, and can also decide the scope of its permit scheme, and the level of its permit fees. Therefore its not possible known the list of fees incurred. The Traffic Management Act came into effect on 1 April 2008. This includes new longer forward notice periods and the new powers outlined above. here will be less flexibility around work dates and durations, so it is important to let the DNO know as soon as you can about potential sites. The DNO can then plan works carefully and provide accurate information. DNO’s can work with you and liaise with the local authorities to deliver your utility connections. Local authorities are still evaluating whether to opt to be Permit Scheme Operators, and the scope and fee levels in their schemes. They can choose to do this at any time from 1 April 2008 onwards. Further detail about the Traffic Management Act can be found at the Department for Transports website. A new electrical supply – It can’t be that hard, to arrange for us! Right? Its important – do what you can! For HV metering applications, an AMU is designed for use with the latest HV Ring Main Units, including the extensible units.In its standard format the AMU is designed to connect to remotely mounted tariff metering. For voltages above 12kV and ‘special’ Transformer/Current Transformer (VT/CT) configurations, refer to the oil metering unit range technical detail. This includes all 5-limb Voltage Transformer (VT) requirements. A timetable has been set by the energy regulator for new rules to come into force that ensure the fairer treatment of consumers. All energy customers will be sent their first annual statement by their supplier by December 2010, Ofgem said. Changes that allow pre-payment meter customers to switch suppliers even if they have a debt on bills of up to £200 will be in place by January. The changes come after an investigation by the regulator into household bills. Ofgem started the investigation into the state of the energy market in the UK in February 2008. In its initial findings a year ago, Ofgem said that there was no evidence of collusion between the “big six” suppliers in setting prices and the market was “working well” for most consumers. But it raised concerns over the difference in prices for those paying in different ways. At the start of September, the first of the new rules – which ensured different payment methods reflected the cost to the supplier of offering those methods – was brought into force. The new annual statement, which customers will start to receive from July, will provide customers with details such as their energy tariff, consumption and a reminder of the customer’s right to switch. Other new rules include the provision of written quotes for doorstep sales, which must be supplied from 18 January 2010. The same date has been set for the requirement that small businesses be given clear contracts, and more notice of when a new contract can be negotiated. “The new standards define the spirit of the new rules to go with the letter of the laws,” said Ofgem’s Andrew Wright. The Secretary of State for Children, Schools and Families, the Rt Hon Ed Balls MP, today announced a £12m investment in new energy display meters providing schools with real-time digital information about their electricity use from January next year. From January 2010, primary and secondary schools across England will be able to apply for a meter which will give a second-by-second reading on how much electricity a building is using. Pupils and staff will be able to see immediately the impact of switching on and off individual pieces of electrical equipment, computers and lights on easy to read display monitors. Partnerships for Schools will be responsible for overseeing the delivery of the new display meters project, working in partnership with British Gas, as the selected private sector partner. Tim Byles, Chief Executive of Partnerships for Schools, said: Pupils across England are some of the keenest sustainability champions around. In Building Schools for the Future schools where display meters are already in operation we have seen young people and teachers enthusiastically using this data to show how simple changes in behaviour can make a real difference. 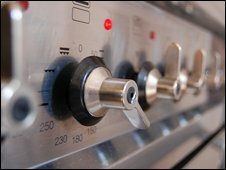 Research by the Carbon Trust shows that display meters and wider behavioural changes in using energy could see 10 to 15 per cent cuts in fuel bills  meaning the average one-form primary school could save up to £700 a year and the average 900-pupil secondary school more than £3,000 a year on fuel bills alone. The display meters project was announced today as part of the publication of the discussion document Securing Our Future  Using Our Resources Well. The meters will be provided with software that allows clear, easy-to-read displays to a nominated PC in a prominent place within the school so that pupils, teachers and wider users of the school can monitor electricity use. Schools will be given instructions for how the meter should be used, and guidance on how it can support teaching and learning and raise awareness. School maintenance staff will also be able to use the data to inform decisions about how to make energy savings. PfS is the governments delivery agent for the full suite of capital investment programmes into schools, helping ensure that taxpayers get the best value from every education pound spent. PfS is responsible for the delivery of around £8bn investment into education until 2011 through Building Schools for the Future; the Academies programme; the Primary Capital Programme; and the Devolved and Targeted Capital Programmes. Reduce costs, improve operations, and generate new sources of income. The NES System benefits every aspect of your utilitys operation  from metering and customer services to distribution operations and value-added business. We offer an unparalleled return on investment with a payback period for most utilities ranging from two and five years. Since the NES System is built on open, internationally recognized standards using existing infrastructures, your utility can add new devices over time  anywhere within the electricity network  using the same communication infrastructure already installed for electricity metering. The NES system is designed to let your utility use a variety of communications media within your system to minimize cost and complexity, and maximize reliability and security. At the core of this flexibility are data concentrators, which provide the connectivity infrastructure between meters at customer sites and the NES System Software at the utility’s central office. Data concentrators connect to the secondary side of a distribution transformer and securely communicate with and supervise meters attached to the secondary side of a given transformer. They can be installed adjacent to or collocated with one of the meters at a customer site or collocated with the transformer itself, which may be on utility poles, in underground substations, or in above-ground enclosures. Data concentrators communicate with meters over the low-voltage power line network. Communication between data concentrators and the NES System Software (which usually resides in the utilitys data center) occurs over any IP-enabled WAN. Because our flexible data concentrators can use any convenient WAN technology  such as GPRS, CDMA, GSM, PSTN, and broadband  utilities can take advantage of today’s diverse range of wide area communication possibilities, as well as new options offered in the future. The hybrid RF/PLC/IP architecture of the NES System cost-effectively serves both the IEC and ANSI markets for a variety of geographic terrains  from densely populated urban and suburban areas to thinly populated, distant rural locations  while retaining all of its functionality. Meters are a utilitys most important asset: They must provide uncompromising quality, accuracy, and reliability. Our internationally certified NES meters offer the industrys best value for a digital communicating meter, turning each metering point into a wealth of readily available information that can be used not only to generate bills  as in a traditional AMR system  but also to monitor network health, reduce or eliminate on-site visits, improve customer service, and optimize the distribution network. Since NES provides a complete, always-on, two-way network, each meter is remotely accessible at any time for both data reading and, with proper authorization, remote configuration and control. And because our meters have no serviceable parts, you may never need to send personnel to the field again. One crucial aspect that sets advanced metering infrastructure (AMI) apart from automated meter reading (AMR) is two-way communications between the utility and residences. That level of communication is intended, in part, to help all consumers participate in energy management and efficiency programs. But how does that two-way communication reach beyond the electricity meter and into a consumers home? Several standard technologies exist that consumers are familiar with in their home. Two that consumers are most familiar with over the last decade are Wi-Fi and broadband over cable. These technologies are well suited to carry huge amounts of audio and visual data, but are far more powerful and expensive than what is needed for utility communications at any individual residence  regardless of home size. Another technology reaching consumers in their home and finding great acceptance in the energy industry is ZigBee® wireless networking. ZigBee is a global wireless language that connects different, often everyday devices to work together. It is built on top of the IEEE 802.15.4 wireless networking standard, in much the same way that Wi-Fi is built on the IEEE 802.11 standard. The core benefit of ZigBee is that it is designed for situations that need to communicate small amounts of data while using less energy to transmit that data. ZigBee supports energy management and efficiency mainly by connecting a utility to an in-home network typically comprised of ZigBee-enabled devices, including appliances, thermostats, water heaters, pool pumps, and more. This network of ZigBee devices is easy to connect and allows users to customize and monitor their energy consumption in an environment where devices communicate to each other and can connect to the outside world to enable remote access and control either by the utility, a third-party service provider or the customer. As a global, open standard, ZigBee enables interoperability between numerous devices. Open standards like ZigBee provide everyone in a market a common point of reference to build upon. This way, utilities and consumers gain a competitive marketplace for products and services. Vendors like meter and thermostat manufacturers benefit, because open standards create a competitive semiconductor marketplace in which they can purchase wireless networking ZigBee chips, also known as ZigBee Compliant Platforms. The ZigBee Alliance is a global ecosystem of technology companies creating wireless solutions for use in energy, home, commercial and industrial applications. ZigBee Alliance members work together to develop public application profiles for various applications to foster device interoperability, regardless of manufacturer. ZigBee certification and compliance tests ensure ZigBee solutions offer reliable and robust wireless networking. Only ZigBee has multiple suppliers providing the core technology used in wireless solutions for home, commercial and industrial applications. Companies join the ZigBee alliance for access to the best intellectual property for their products. The ZigBee Alliance is five years old and has 250 member companies. The Alliance and its members continue to deliver energy management and efficiency solutions. In November, the alliance released its ZigBee Home Automation public application profile. Completion of ZigBee Home Automation paved the way for a rapid completion of a planned profile for advanced metering and energy management. Last month, an array of vendors gathered in San Diego to test the interoperability of their devices running this new profile, to be known as the ZigBee Smart Energy profile. The ZigBee Smart Energy public application profile has been completed, offering utility companies a global open standard for implementing secure, easy-to-use wireless home area networks for managing energy. ZigBee Smart Energy enables wireless communication and control between utility companies and common household devices such as smart thermostats and appliances. It improves energy efficiency by allowing consumers to choose interoperable products from different manufacturers, giving them the means to manage their energy consumption more precisely using automation and near real time information. It also helps utilities implement and support advanced metering, demand response, load control, pricing, and customer messaging programmes. With the global energy crisis, many countries are facing energy supply and demand imbalances that will require alternative energy management and efficiency solutions like ZigBee Smart Energy. For example, North American Electric Reliability Corporation (NERC) reported that electricity demand in the United States is expected to increase by 135,000 MW in the next decade yet only 77,000 MW of new resources have been identified, creating a shortfall of 58,000 MW  an amount equivalent to 110 large power plants. Energy management and efficiency solutions can bridge the gap. For example, the US Department of Energys Pacific Northwest National Laboratory recently released the results of a year-long study showing that households with digital tools controlling temperature and price preferences saved on average 10 percent on utility bills. The study also showed that if households have digital tools to control temperature and price preferences, peak loads on utility grids can be cut by up to 15 percent. A number of Alliance members are currently building products that will be certified by the Alliance to support ZigBee Smart Energy. These companies include: Cellnet+Hunt, Ember, Freescale Semiconductor, Itron, Tendril and Texas Instruments, who are ZigBee Alliance Promoter member companies and members of the Board of Directors which is responsible for setting the Alliances direction in the energy sector. Some of the other members building ZigBee Smart Energy products include: Alektrona, Computime, Comverge, Control4, Corporate Systems Engineering, Daintree Networks, Digi International, Elster, Energate, Frontline Test Equipment, Golden Power, Greenbox Technology, LS Research, PRI Limited, Radio Thermostat Company of America, Riga Development, Trilliant Networks and Wireless Glue Networks. Why ZigBee, and why now? Over the next ten years in the United States, the nation needs to build one large power plant every month in order to meet its projected energy needs. The North American Electric Reliability Corporation (NERC) reports that electricity demand in the United States is expected to increase by 135,000 MW in the next decade. And yet, only 77,000 MW of new resources have been identified, creating a shortfall of 58,000 MW  an amount equivalent to 110 large power plants. Clearly we all want to keep our iPods and big screen TVs running, not to mention our offices, factories, and hospitals. Completing a major power plant every month for years on end is a daunting task. Communities can spend years debating where to locate a power plant and the necessary transmission lines to attach it to the grid. About half of the electricity in the U.S. is generated by burning coal; with large domestic reserves and the current infrastructure, coal is likely to remain the dominant fuel source for electricity. Natural gas contributes a sizable portion of power as well. Burning more coal and gas to supply the additional power that is needed will contribute to carbon dioxide emissions at a time when there is a desire to decrease those emissions, not increase them. How will we make up this energy gap in the coming years given the constraints the energy market faces? While it is not the only solution, energy management and efficiency can play a role in reducing energy consumption, thereby helping to close the supply and demand gap. While solar, wind and other alternative sources of energy generation get much attention, energy efficiency should also be considered as a source of energy. The Edison Electric Institute calls energy efficiency the fifth fuel. It represents an alternative to coal, natural gas, hydropower and nuclear fuel. Supporting this fact, the U.S. Department of Energy’s Pacific Northwest National Laboratory recently released the results of a yearlong study showing that households with digital tools controlling temperature and price preferences saved on average 10 percent on utility bills. The study also showed that if households have digital tools to control temperature and price preferences, peak loads on utility grids can be cut by up to 15 percent, translating into $70 billion dollars saved over a 20-year period on new power plants and infrastructure expenditures. To achieve this level of savings, energy efficiency and management must become much more ubiquitous. The technology to support ubiquitous energy efficiency and management needs to be affordable, easy to install and use, secure and able to scale into systems with millions of devices. ZigBee® is one such technology. It is the leading wireless technology that can bring widely diverse devices into a single home area network for energy management. ZigBee is an open global standard based on the IEEE 802.15.4 wireless networking specification for low power consumption and medium range data bandwidth and transmission distances. ZigBee makes communication possible between the devices inside the home and the utility from outside the home. That connection allows full two-way communication between utility operations and individual consumers. Through this communication, consumers can now learn more about their energy usage and how to reduce it. Feedback programs, such as Internet-based or in-home usage displays, have been found to reduce total consumption by an average of 11 percent. Two-way communication also allows the utility to automate energy efficiency for the customer according to whether customers have opted into energy management programs offered by the utilities and what parameters the consumers established for their own energy and comfort levels. Two-thirds of the energy consumption in a typical U.S. household comes from lighting, heating, and cooling. Making these uses of energy more efficient can go a long way towards closing the energy supply and demand gap. A megawatt of energy gained through efficiency is much cleaner than a megawatt generated since the energy derived from efficiency is energy that does not have to be generated in the first place. Installing energy efficiency devices and programs that give consumers the tools to make intelligence energy use decisions will be exponentially faster than building major power plants. So just maybe we can have our energy and continue to enjoy our rising standard of living along with the latest electronic gadgets and not need to feel guilty. Six months into Louisville Gas & Electric Companys (LG&E) pilot program that uses smart meters, smart or demand response appliances, and a tiered-pricing program, results reveal participants are choosing money saving options. The program tests the use of smart appliances to help offset energy costs when higher prices are implemented during peak usage times, generally from 3-8 p.m. Pilot participants were a select group of GE employees living in the LG&E Louisville market. They were provided with a suite of GE smart appliances  or demand response appliances  to replace their standard appliances. In most cases, this included a refrigerator, range, microwave, dish washer and laundry pair. In addition, LG&E installed a programmable HVAC thermostat in the participants homes, as well as a smart utility meter. The smart appliances receive a signal from the utility companys smart meter which alerts the appliances, and the participants, when peak electrical usage and rates are in effect. In the pilot program, the signal word eco comes up on the display screen. The appliances are programmed to avoid energy usage during that time or to operate on a lower wattage; however, participants can choose to override the program. Some of the examples of savings are that the refrigerator delays the defrost cycle from occurring during peak hours and goes into energy saving mode, microwave ovens power down slightly by reducing wattage used when operated during peak hours, and the smart dishwasher and laundry can delay starting the cycle to off peak times. Notably interaction with the dishwasher and laundry appliances has been noted as the most challenging by the participants. The ZigBee® Alliance and the European Smart Metering Industry Group (ESMIG) are working together to define interoperable communications standards for smart metering technology across the European Union (EU). The ZigBee Smart Energy public application profile is the first open standard to be endorsed by ESMIG. The ZigBee Alliance and ESMIG will collaborate and identify where ZigBee Smart Energy can be rolled out across the 27 member states of the EU. The two organizations will evaluate ways to maximize the benefits of a standardized smart metering program for consumers, utility service providers and the environment. There are an estimated 2,000 electric, water and gas utility service providers in the EU. Each has unique needs that will require standardized approaches to deliver the numerous efficiency, cost savings and environmental benefits expected from smart metering. ZigBee Smart Energy enables wireless communication between utility companies and common household devices such as smart thermostats and appliances. ESMIG is an alliance of companies supplying utility metering products or services within Europe and covers the entire value chain from meter manufacturing, software, installation, consulting, to communications and system integration. SAPs advanced metering infrastructure (AMI) solution, AMI Integration for Utilities software, and a packaged dashboard developed in cooperation with enterprise document presentment solution provider StreamServe that displays cost-to-serve modeling and related carbon emissions impact, are now generally available, the company has announced. AMI Integration for Utilities links sales, service and billing processes within SAPs Customer Relationship and Billing for Utilities package to the capabilities of AMI technology. With the availability of AMI Integration for Utilities, SAP also announced significant progress in the business integration of smart meters in the core processes of utility companies. The solution enables the efficient acquisition of metering data through meter data unification and synchronization systems and the management of bi-directional communication processes between smart devices and SAP® Business Suite software. The packaged dashboard provides utilities with the ability to monitor their costs to service their customers, modeling how to reduce these costs and the related environmental impact with reduction of carbon dioxide emissions. Based on established benchmarks, these solutions enable utilities and their customers to improve cost efficiencies and become far less reliant on the earth’s resources, added Dennis Ladd, president and CEO of StreamServe. ADDAX Integrated Metering System (ADDAX IMS) is a modern automated system designed for remote metering and management of different resources consumption. The System can integrate meters designed for different resources, thereby, ADDAX IMS can perform metering of several kinds of resources simultaneously. ADDAX IMS is a scalable system that can be easily extended in accordance with customers requirements. Systems size can range from a separate building to a multi-million city. ADDAX IMS is a flexible system that can be easily adjusted, both structurally and functionally, to particular application conditions. ADDAX IMS is an open system, compatible with other systems, for example, billing system, supporting standard protocols and generally accepted data formats. ADDAX IMS has a 3 level architecture. Lower Level. This level includes terminal devices that are installed directly at metering points. They can be ADDAX-devices (meters, controllers), or devices produced by other manufacturers, supporting interfaces applied in System (DLMS/COSEM protocols). Middle Level. The middle level represents data transmission via any from accessible physical environments: GSM (GPRS), Ethernet, PL (MV), PL (LV), RF, wire (several variants). ADDAX IMS is manufactured on the base of ADDAX Technology, developed and owned by ADD GRUP. ADDAX IMS is a constantly upgraded system. Upgrade is influenced by our customers requests, as well as by accumulated experience and high level of ADDAX technology, achieved today. ADDAX IMS is implemented in a series of countries in Europe, Asia, Africa and South America. Total number of installed metering points is about 800 000. Greenbox, a startup founded by the creators of Flash, announced the roll-out of its power consumption monitoring application today. Installed along with networked electrical meters to a limited number of homes by Oklahoma Gas and Electric, the new trial is Greenboxs first move into a market thats quickly become crowded with competitors like Tendril, Agilewaves, and DIY Kyoto. All these applications allow their users to see how much energy theyre using and, if they want to, reduce it. “We believe we can make specific [energy-saving] recommendations based on your situation that are far more valuable than any of the general tips on websites.” said Matt Smith, the chief marketer for Greenbox. Regardless of which application consumers end up using  they all provide similar functionality  the concept makes sense for consumers. But whats in it for utilities? The shrinking gap between how much power utilities can produce and how much Americans will consume is driving the old-line industry to try to drive down demand for the product they sell. As can be seen in the embedded chart, based on data provided by Peggy Suggs, an analyst at the Edison Electric Institute, the amount of slack in the nations electrical grid is shrinking. Without breathing room, the risk of blackouts increases and expensive (and dirty) backup power plants called “peakers” have to be fired up more often. Electric companies could just build more power plants, but the permitting process is difficult and high-commodity prices are making construction increasingly expensive. Thats led many utilities to turn to energy efficiency, which is sometimes called “the fifth fuel”. Most of the programs, though, remain in the trial stage. To make use of Greenbox or its competitors, utilities have to install some kind of smart meter for your household. These meters can run up to $100, which multiplies out to many millions of dollars over a utilitys area of service. This cost has slowed adoption. 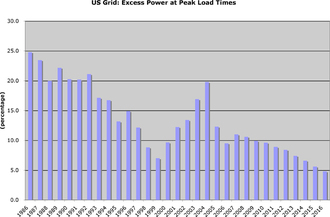 As a result, demand-response programs only reduced peak-load by 27 gigawatts in 2006, according to the Energy Information Administration. Thats not much, considering that more than 4,000 gigawatts of power were produced by those other four fuels. The utilities figure that consumers will respond rationally to this price signal and cut their usage during the period by eliminating it or shifting it to a cheaper time. But perhaps its the irrational drive of competition that could push consumers to save energy. Adrian Tuck, CEO of Tendril, another energy monitoring startup, said that his company has found that people who know how much electricity the Joneses consume try to keep up by driving their usage down. “The most potent driver of change is beating your neighbors,” Tuck told Wired.com. These applications are the beginnings of the new world Clive Thompson described about a year ago in which energy conservation isnt just visible, its a public point of pride (or shame). 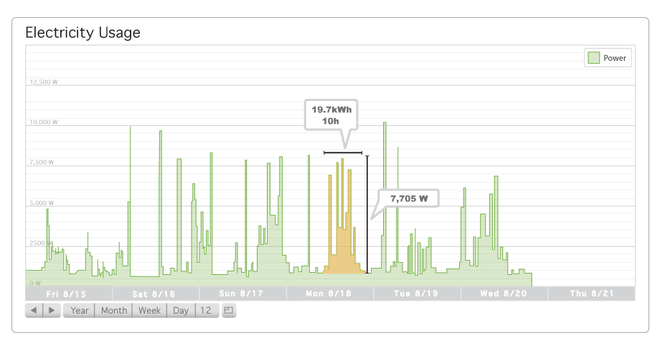 For now, though, energy monitoring services are probably a year or two away from your desktop. Images. 1, 3, 4: Screenshots from Greenbox. 2. Chart from EEI Data. You are currently browsing the archives for the metering category.